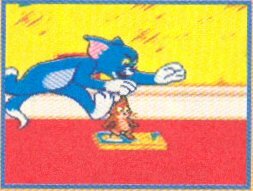 Tom & Jerry 2 was being developed by Hi Tech, and published by Allan. It appears different that the Genesis game, Frantic Antics. One can only speculate as to why it was canceled. It probably found the same fate as other Hi Tech games like Bobby's world, in which the market was too saturated for platformers based on cartoons.